What is special about the VigorBX 2000, the DrayTek IP PBX? It is more than just a Business Telephone System as it includes router functionality. There are 2 versions: VigorBX 2000 and VigorBX 2000ac. The ac version includes Wi-Fi. They are both based on the Vigor 2860 series router. 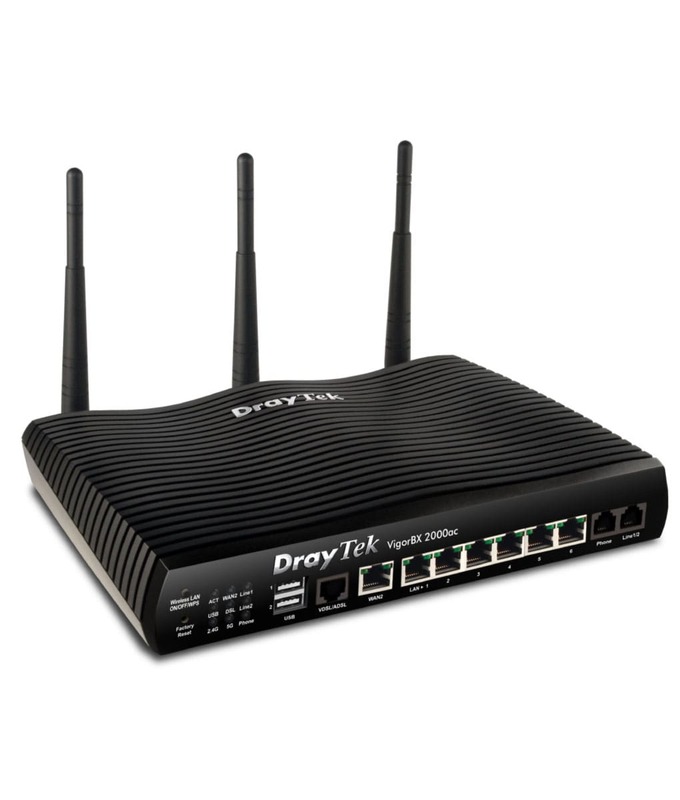 This allows for multi-WAN connection, VDSL or ADSL, Ethernet and 3G/4G Mobile. It has most of the Vigor 2860 router functions, but excludes the Wireless management. The VigorBX 2000 allows you to replace your traditional proprietary telephone system with an IP base telephone system. 1 x FXS - Analogue Extension for FAX, Credit Card machine, etc.